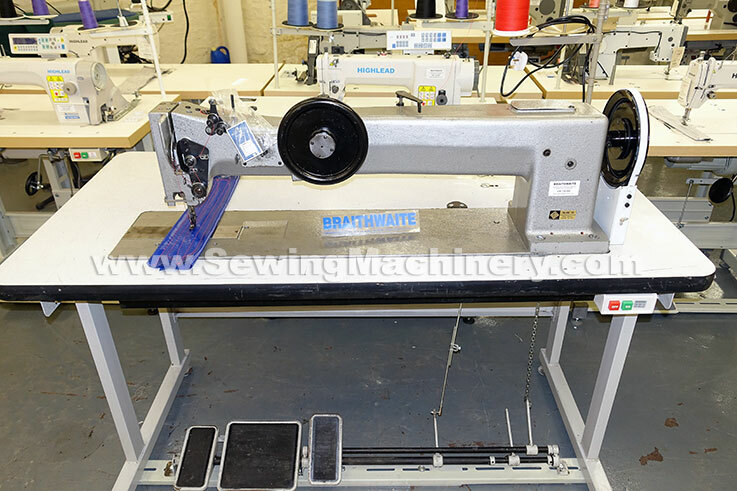 Seiko JW-8BL-30 long arm industrial sewing machine. Heavy duty walking foot model with extra large hook. Approx. 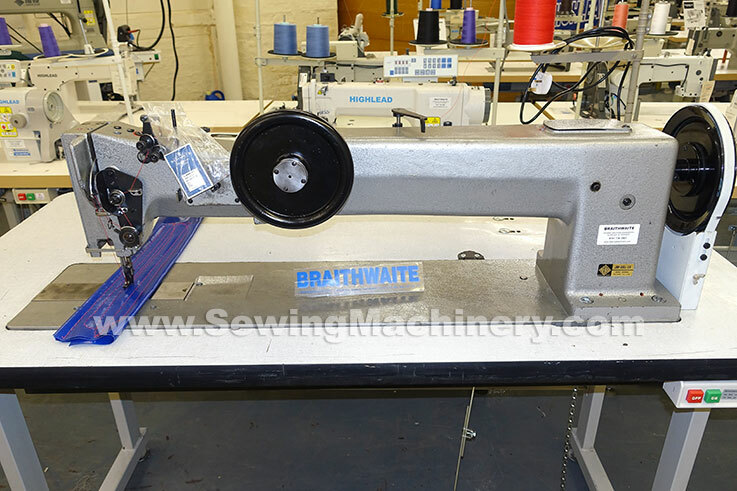 30" clearance to the right of needle (around three times the length of a standard industrial machine). 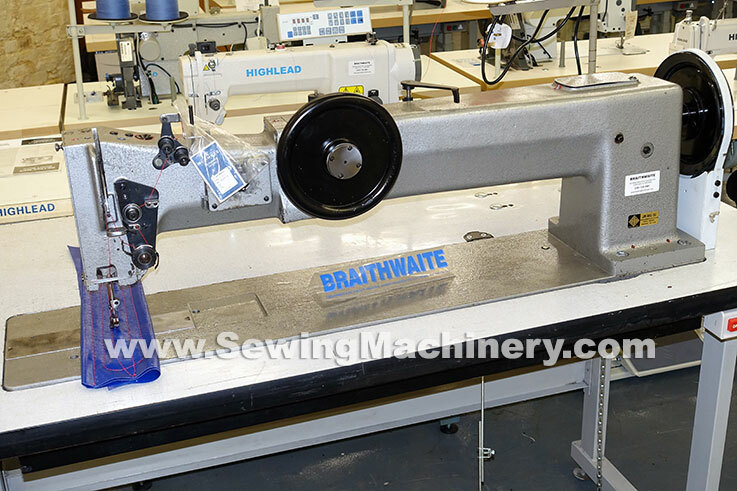 Robust model made in Japan for stitching heavy weight materials. Assembled with matching long arm unit stand, large wooden table top and foot operated high foot lifter device. 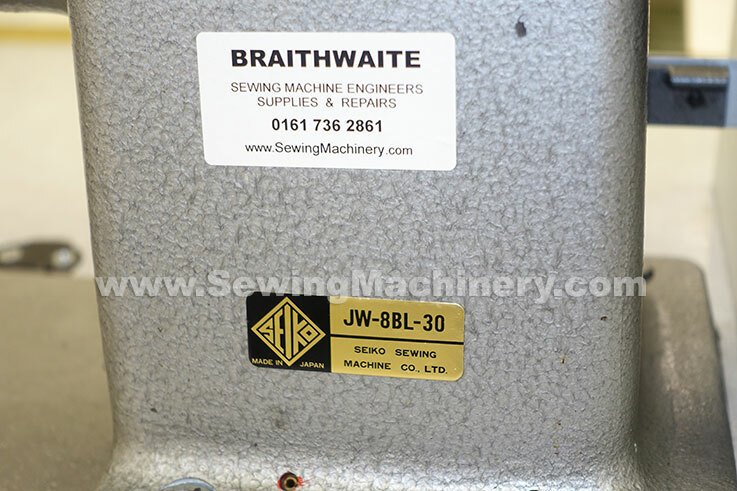 New electrics and New heavy duty slow speed 3/4HP clutch motor fitted ready for use. Standard 13amp plug.